Speck made a splash at #CES2016 with the announcement of our latest in innovation: Pocket VR with CandyShell Grip, by busting down doors of accessibility for both beginner and advanced virtual reality users. Pocket VR is the quick and easy way to experience virtual reality from the convenience of your smartphone, using a slim and portable design for pocket-friendly accessibility. Plus, we’re pairing Pocket VR with our award-winning, military-grade protective CandyShell Grip case for your iPhone 6s/6 or Galaxy S6. The new portable virtual reality viewer racked up quite the reputation during the tradeshow’s four days, and fans are looking forward to its upcoming Spring release. 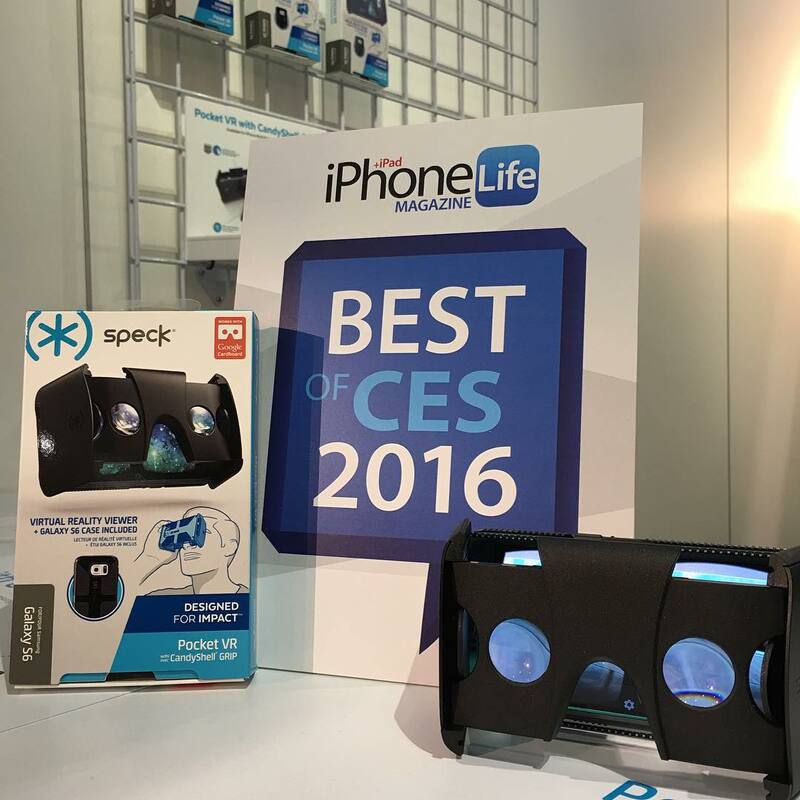 Pocket VR took home iPhone Life’s Best of CES 2016 award, whose publishers call a “great way to get familiar with VR.” Alongside the fact that the package includes both a viewer plus smartphone case, iPhone Life was excited to see our partnership with Google Cardboard and Jaunt come to life with a breakthrough product for Speck. Find out what all of the buzz is about. Visit www.speckproducts.com/pocketvr or watch the video below to learn more about Pocket VR with CandyShell Grip.